Signing someone else’s name to a loan document is, in most circumstances and states, a crime. The United States has laws protecting businesses from financial fraud and individuals from fraud and identity theft. If the husband has power of attorney over his wife’s legal affairs, it may be permissible, but not always. Check with an attorney or a bank loan officer before you sign documents for your wife. You may not have the right to do so. In most states, misrepresenting your financial status to a bank, or misrepresenting your credit worthiness and collateral by forging the signature of another person, is an act of bank fraud according to author Benton Gup. The Bank Fraud Statute in Title 18 of the U.S. Criminal Code, (18 U.S.C. § 1344) says that using any deceitful or fraudulent means to defraud a bank of any amount of funds is a felony. Conviction of bank fraud can bring a fine of up to $1 million and up to 30 years in prison. Applying the signature of another person on any kind of official or legal document or contract without his express consent—usually through power of attorney-- is an act of identity theft, a felony. According to The Identity Theft Deterrence Act (2003) (18 US Criminal Code § 1028) punishment for identity theft can be from five to 30 years in prison plus heavy fines. If your husband forges your signature on a loan document, you should call the police. However, you will not file charges against your husband for his actions: The police and the local district or state's attorney will prosecute him. You cannot stop this prosecution even if you agree to participate in the loan after the act of forgery has occurred. Your husband's criminal act of forgery “stands” regardless of your feelings about the matter later, according to Stephen Pendeault, a forensic accounting expert and author of “Fraud 101: Techniques and Strategies for Understanding Fraud." If the court convicts your husband of fraud, but you are not in any way charged or involved, your credit rating may not be affected. The Identity Theft Act requires that credit agencies clear any negatives that may be on your credit report due to an act of identity theft. The court may force the bank, through a legal motion, to continue to provide you with basic bank services, but the bank will remain reluctant to grant loans to you unless it wholeheartedly believes you were merely a victim in the matter, Pendeault says. If the bank granted the loan under fraudulent circumstances, the bank will void the loan. The court may force your husband to pay back any funds he already received on the loan. If he cannot pay back the money, you may be required to pay it back from any joint funds held in any accounts if the bank can show that those accounts benefited from the loan. If your husband used the loan to buy a car or a home, the bank may act to repossess the property to get the money back. In some special cases, with the help of a very good lawyer, and a very understanding loan officer, you might be able to refinance the loan on your own, without your husband’s participation—after you have divorced him, Pendeault says. In some cases, your husband may legally sign your name on a loan document. You can accomplish this by granting your husband power of attorney, the right to commit you to legal contracts without your direct participation, Gup says. This is often done while a spouse is medically indisposed, incarcerated or out of the country for a long period. 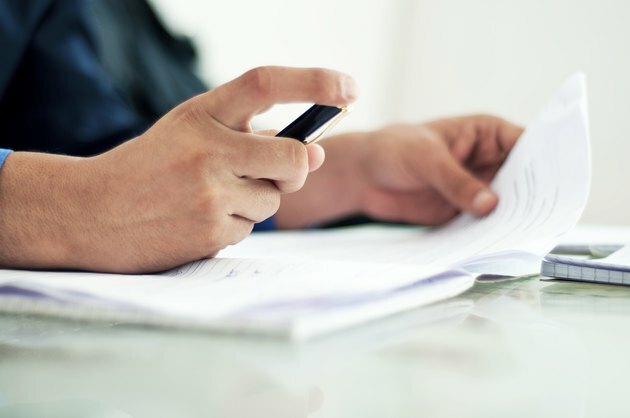 Your husband will need to make this status clear to the bank before signing the loan by showing them the legal power of attorney documents, properly drawn by an attorney.